The last government shutdown ended because Democrats stood firm against President Trump’s border wall. But funding will soon run out again, talks between Democrats and Republicans are in crisis, and Mr. Trump remains committed: “The Wall will get built one way or the other!” he tweeted on Saturday. 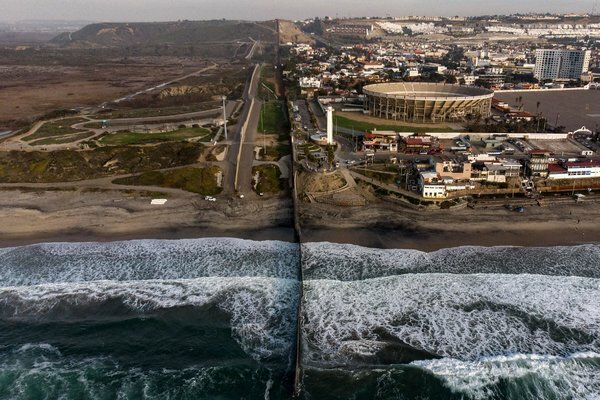 Yet at the same time, Ms. Pelosi has emphasized that “Democrats are committed to border security.” She has critiqued the wall on the narrow grounds that government should instead employ “evidence-based knowledge about how we best secure our border.” James Clyburn, the majority whip, fleshed out what that might look like: a “smart wall,” including more Border Patrol agents. This, too, is immoral. And when it comes to drugs — a favorite justification of Mr. Trump’s for his wall — evidence shows that more “border security” does not stop trafficking. From the 1970s on, every crackdown on a drug-smuggling route, whether it was heroin via the French Connection or cocaine through the Caribbean, has only led to new innovations in the trade that have empowered murderous Mexican cartels. Some scholars even argue that the rise of fentanyl can be traced to drug interdiction. Since Bill Clinton’s presidency, the Border Patrol has grown from 4,100 agents in fiscal year 1992 to more than 19,000 today. The United States has built hundreds of miles of border fencing since the 2006 Secure Fence Act, which Barack Obama, Joe Biden and Hillary Clinton voted for. “Well, I voted for border security, and some of it was a fence,” Mrs. Clinton feebly said in 2016 when pressed about the 2006 vote that within a decade had become controversial. Voters used to overwhelmingly favor less immigration, but opinions have changed fast amid an immigrant rights movement that took off in 2006 and partisan polarization driven by aggressive enforcement. In 1994, just 32 percent of Democrats and Democratic-leaning Americans and 30 percent of Republicans agreed that immigrants strengthened the country, according to the Pew Research Center. But by 2016, the share of Democrats who said so had skyrocketed to 78 percent. In 2006, 37 percent of Democrats said that immigration levels should be decreased, while only 20 percent said that it should be increased. In 2018, 40 percent said that it should be increased, with just 16 percent calling for restriction. 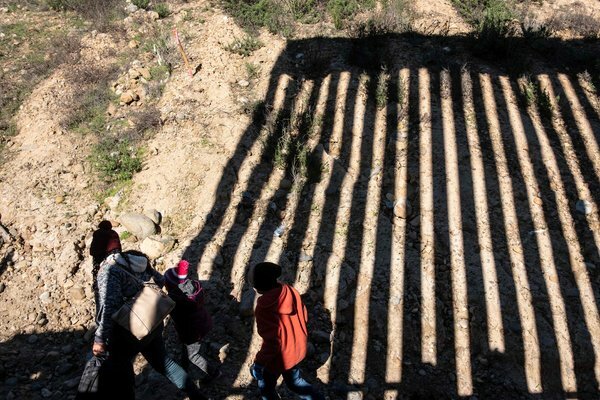 The same trend has held on border politics: In 2010, 47 percent of Democrats said that they equally prioritized legalizing undocumented immigrants and “better border security and stronger enforcement of immigration laws,” while just 29 percent prioritized legalization alone. By 2018, the number prioritizing legalization alone skyrocketed to 51 percent. Under President Trump, polarization has accelerated — and that’s a good thing. The vanishing bipartisan consensus orchestrated mammoth deportations and militarized the border in the quixotic hope of placating the nativist right and winning it over to supporting immigration reform. This strategy only inflamed the right’s paranoiac ravings and helped move the goal posts to new extremes. Which is why we find ourselves, in 2019, with the possibility of beginning a second government shutdown over the wall. 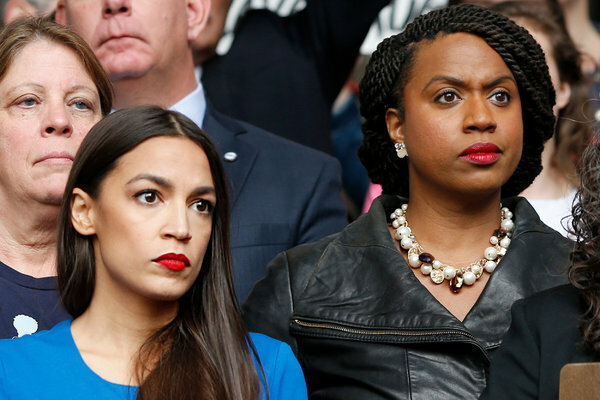 So, what should the Democrats pursue instead? A break with a failed bipartisan consensus. Daniel Denvir (@danieldenvir) is a visiting fellow at the Watson Institute for International and Public Affairs at Brown University and the author of the forthcoming “All-American Nativism.” He also hosts “The Dig,” a podcast from Jacobin magazine.